It was like the first day of school feels. Hands sweaty, thoughts racing, wondering “what if they don’t like me? Am I going to make friends? Who else is here? What is this going to be like?” Breathe. I reminded myself that I had landed a job at the one place I thought was unattainable. But, here I was at High Cascade Snowboard Camp. I knew I absolutely loved snowboarding with every fiber of my being. And I knew I was in the right place. With that reassurance, all those doubts and nerves disappeared. Soy Sauce Nation co-founders Andrew Kelly (m) and Nirvana Ortanez (r). Photo courtesy of Gill Montgomery. All of the staff sat in a circle for introductions. Basic team stuff: where we were from, what department we were working in, how long we’ve been around, some random fact and so on. Halfway through, I sat listening as a guy launched into an anecdote about his nickname: “AK does not stand for “Asian kid” or AHH-CK, but Andrew Kelly.” Cue laughter. He finished by explaining that he was well accustomed to the being the only Asian around. A half second later he locked eyes with me. His eyes went wide and I could see the thoughts behind them: Crap! Did not see her. Afterwards he came over to apologize and we’ve been friends ever since. We wanted to create something to riff on that moment when you think you’re the ‘only one’ but actually aren’t. And that is pretty much how Soy Sauce Nation was born. 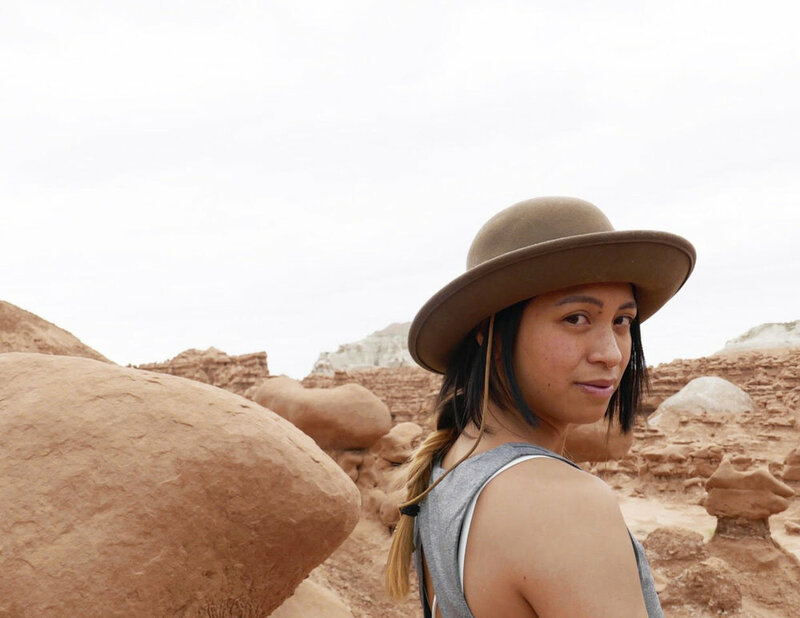 Now more than ever there’s an increased public awareness of POC in the outdoors. Let’s just get one thing straight: whether we’re talking about hiking, climbing, snowboarding, or camping the bottom line is clear: we’ve always been here. You may not always see us. Our numbers might be small, we might be spread out across the U.S. and invisible on social media but that doesn’t mean we aren’t out there. Soy Sauce Nation is another way of saying that there is nothing new or “next generation” about us. We’ve been out here on the mountain. That’s where we all found each other. On the slopes. High Cascade Snowboard Camp is a hub for snowboarders across the nation. It’s a summer destination tucked away atop Mount Hood, Oregon for those in search of endless winter. It draws quite the crowd. This was absolutely my dream job. It was everyone else’s too. Low staff turnover meant no openings. Getting a job there was absolutely a dream come true. Everyone I worked with there all had the same mentality; we were there to eat, sleep, coach and mentor plus a lot of time for snowboarding, skating. Many lasting friendships came out of that place. The course of how I wanted to live my own life changed because of Mt. Hood and SSN. Check out Soy Sauce Nation at @soysaucenation on Instagram. AK and I connected on the fact that we were mostly the “token” Asian out of our friend circles. We were so happy to find each other and hang; more or less, it felt good to know that there was another Asian person doing and loving the same extreme sport. As summer went on we made an Instagram with the handle @SoySauceNation, then got all of our friends of Asian heritage together and officially 'welcomed' them into the Soy Sauce Nation. That included camp counselors Jesse Gouveia and Max Tokunaga, digger Johnny Brady, camper Miles Fallon. The Instagram account features Asian snowboarders and skateboarders mixed in with iconic Asian figures, like Data from the Goonies or a kid dressed up in a sushi roll. 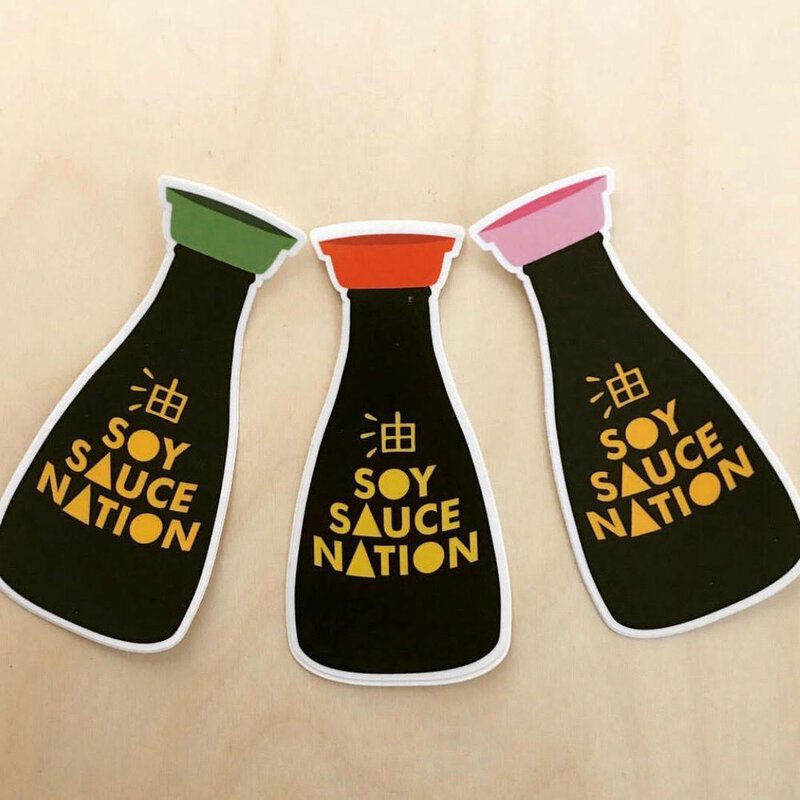 To learn more about how to rock your own Soy Sauce Nation sticker follow them on Instagram and slide into their DMs (Photo courtesy of Nirvana Ortanez).